here in San Diego & around the world! 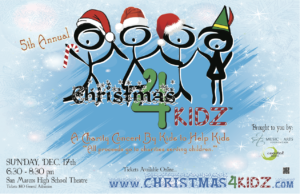 Christmas 4 Kidz is a community charity event produced by Coastal Music Studios. Our 5th Annual concert is going to be a magical night where youth music and performing groups showcase their hard work and dedication to the arts while making a difference in the lives of needy children here in San Diego County and around the world. 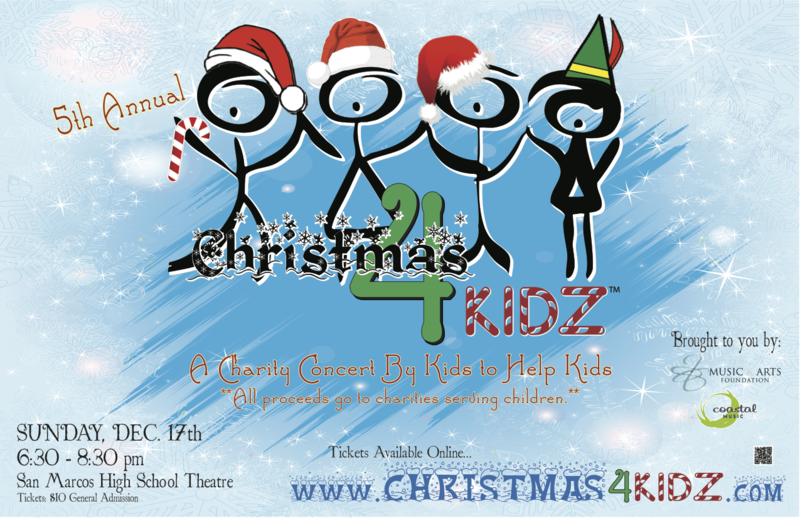 We have more than 100 children participating in Christmas 4 Kidz this year at the San Marcos High School Theatre in San Marcos, CA. 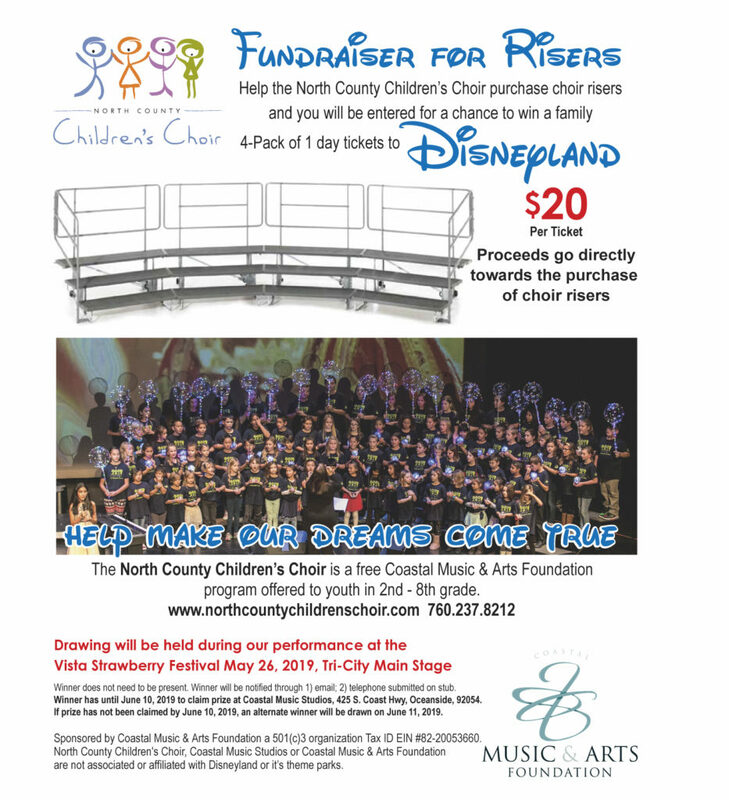 There will be performances by The North County Children’s Choir (a free choir for 2nd-8th graders) and Coastal Music Showcase Performers.